If you’ve been coming here for a while or following me on Instagram (Jehancancook) then it’s no secret that I love rice! It’s only natural since I spend a 1/3 of my life living in a rice producing country where rice was a staple. The typical Guyanese eats rice daily; take my mom for example – if I make macaroni and cheese she immediately asks “where’s the rice.” Now that I have my own family, I find myself eating rice just a little less. While I no longer eat rice daily I do eat it several times a week and most dishes are served with rice. 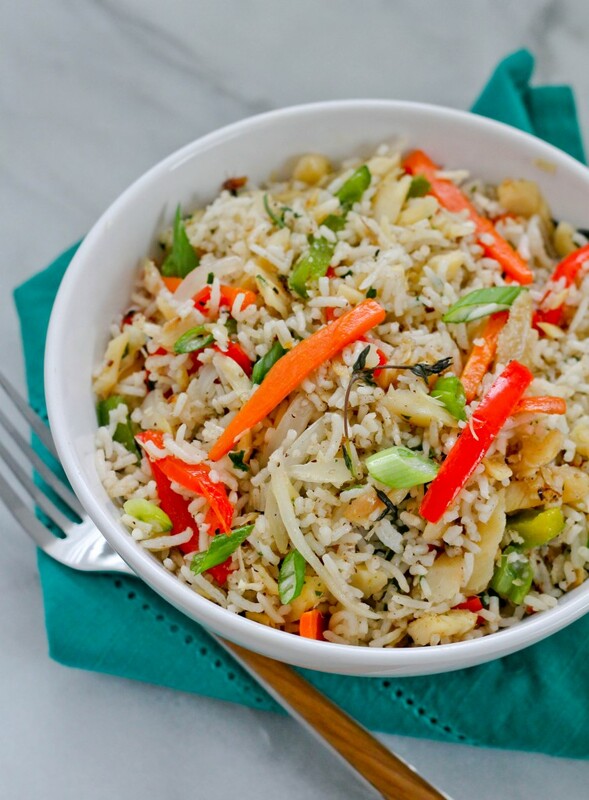 I stumbled on a recipe for saltfish fried rice a while back in a cookbook called Caribbean and African Cooking and was intrigued by it. 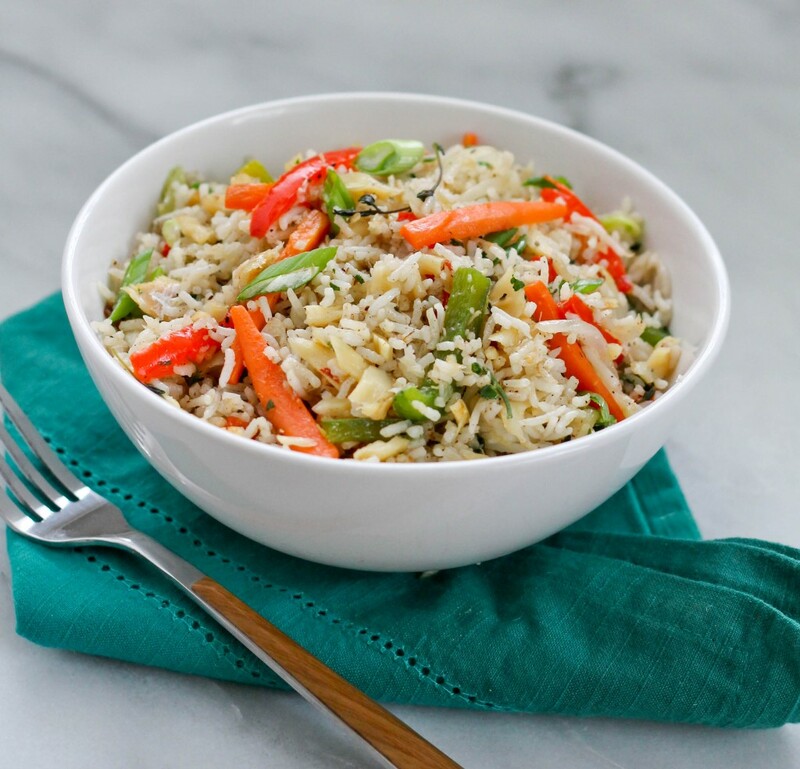 I never had saltfish fried rice but grew up eating kedgeree, which was one of my favorite dishes. Kedgeree is a dish that uses leftover fried fish which you fry up with seasoned rice and it is amazing! I figured this has to be equally as good and I was right! 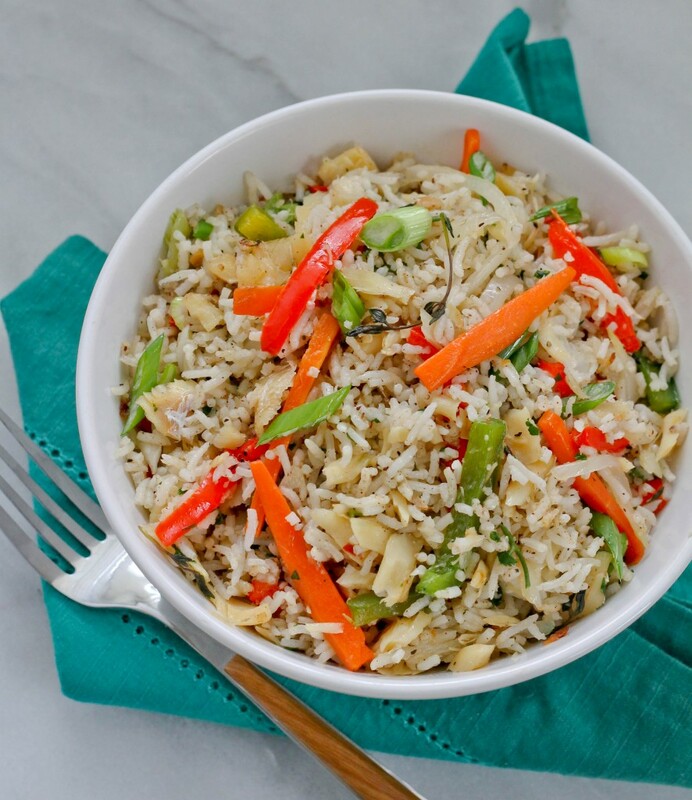 I’ve since made my own version of salt fish fried rice and I will share that with you today. Enjoy! Drain salted cod fish then separate into small flakes in a large pot or wok; add oil and when the oil is hot, cook carrots and peppers until soft, about 5 minutes. Add onion, garlic and flaked salt cod. Cook for about 5 minutes then add rice, thyme, red pepper flakes and five spice powder, stir and cook for another 5 minutes. Remove from heat and garnish with scallion.